Following the unfortunate incident at a lion park in Johannesburg recently where a woman was dragged from her vehicle and killed by a lion, the world’s media has been abuzz. On social media, concerned tourists are asking whether it is safe to go on safari. Many have criticised the poor woman for leaving her car windows open in spite of the many signs warning her not to do so. However, if an open window is so dangerous, is it safe to go on a safari that uses open vehicles for game drives? When we posted this photo on our Facebook page a while ago, we received some comments about how crazy and stupid these people were to be sitting in an open vehicle so close to a pride of wild lions. Yet this kind of sighting happens every day all over southern Africa. These concerns about safety stem from a lack of understanding about where the recent tragedy occurred, and how the lion park differs from a regular wildlife safari. Confusing potential tourists even more, news headlines around the world proclaimed: “Lion kills American tourist at a game park in South Africa”. We’ve seen the words game reserve, game park, nature reserve and safari park all used in connection with this incident. The truth is that this was not an African safari and did not happen in a game reserve. This attack happened at a small lion park, which is very different from a normal African game reserve. It is not the first time an incident like this has occurred in a lion park yet you never hear of lions dragging tourists off open safari vehicles in bigger game reserves like the Kruger National Park. Why is that? 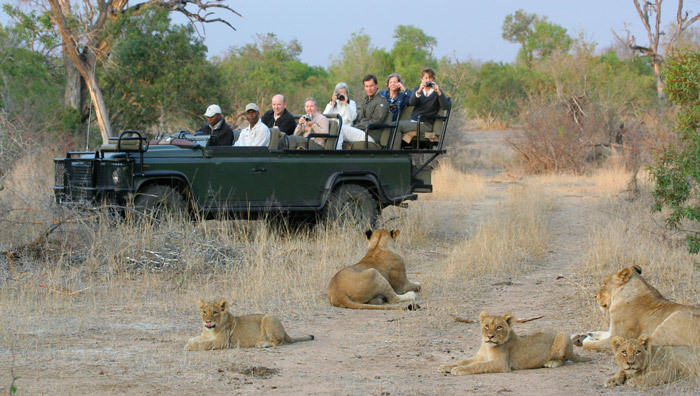 A typical lion park is nothing like a game reserve such as the Sabi Sand Game Reserve or Kruger National Park. It is more like a glorified zoo that is big enough to drive through. The key issue in this case is that these lions are not entirely wild. These lions are kept in enclosures and have been raised in captivity (or in some cases rescued from abusive conditions). As cubs, they have probably been handled and photographed by humans. Lion cub interactions have received increasing criticism in recent times, and rightly so. However, such activities have traditionally been a key source of income for certain lion parks. When lions are raised like this and fed by humans, they lose their natural fear of humans and they learn to associate humans with food. This is the critical difference between lions in a lion park and wild lions in a game reserve. In game reserves, wild lions do not associate human beings with food. They are naturally fearful of humans and, unless you run away, they will not see humans as prey. They also do not associate vehicles with humans or with food. For this reason, thousands of tourist game drives are conducted every day across Africa in open safari vehicles and involve many close encounters with wild lions and other predators. However, you never hear of tourists being attacked or dragged from their open safari vehicle. A leopard like this can walk right past an open safari vehicle and does not even take a second look at the people in the vehicle – they are not seen as a threat and they are not seen as food. I’ve watched lions and leopards walk so close to the tracker sitting on the front that he could have reached out and touched the animal if he so wished. The lion park has had similar incidents before, and the management is well aware of the dangerous nature of captive lions. This is why there are clear signs all over the park warning visitors not to alight from their vehicle or even to open their windows. Unfortunately, this tourist did not heed those warnings. Yet in the Kruger National Park, visitors have been driving around with open windows for many decades, and thousands have enjoyed close-up encounters with wild lions from the back of an open safari vehicle. Millions of tourists have safely visited Kruger in their own vehicles, and you never hear of lions dragging people from their cars there. Of course, there are rules in Kruger too. Do not alight from your vehicle. Do not disturb the animals. Do not feed the animals. Do not stand up or hang out of the vehicle. If you heed these rules, you will be perfectly safe. After a tragic incident like this, misguided and hysterical reporting about the dangers of going on safari does incredible damage to tourism and, by extension, to wildlife conservation as so much of Africa’s conservation effort depends on income from tourism. African safaris have an excellent safety record and millions of people visit Africa every year to go on safari. 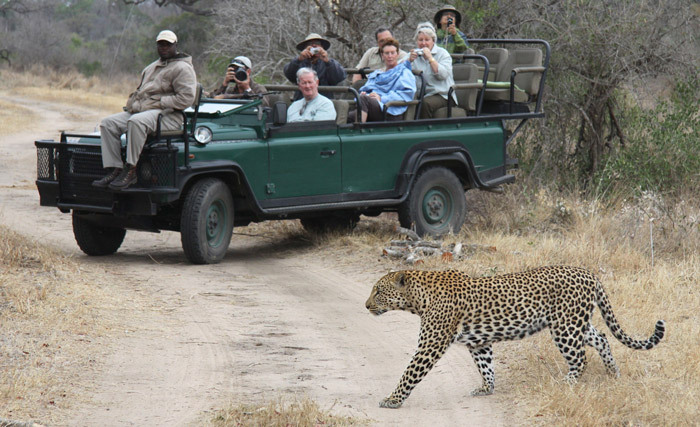 As long as tourists obey the rules of the park they are visiting, it is absolutely safe to go on an open vehicle safari.